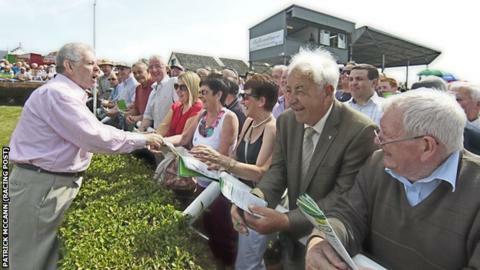 Popular Irish jump racing trainer Oliver Brady has died at the age of 75 following a long battle with cancer. His best horses included steeplechaser Maralan and hurdler Ebadiyan. Grand National and Cheltenham Gold Cup-winning jockey Barry Geraghty was among those to pay tribute. "Very sad news about Oliver Brady, a great character and a very charitable man. RIP," he said.